New Group: Rediscovering our industrial landscape (November 2017). Thursday 30 November, the Fire Station, Sway Road, Morriston; 2 – 4 pm. A partnership of Swansea U3A, Friends of the Hafod-Morfa Copperworks and Morriston History Group. In this group, we will meet for talks and visits, also informally for those interested in learning new skills through a series of online archaeology workshops offered by the Friends as the ground at Morfa is too toxic for digging. Also at this first meeting we will hear Morriston History Group outline its campaign for blue plaques at several addresses in the town. In the Spring, we will follow the trail through Morriston. Our U3A runs on self help principles and we know there are many of you helping to keep the show on the road - as committee members, convenors and other group support such as collecting names, room hire, making bookings, meeting and greeting at lectures, setting out furniture, making and clearing away after tea breaks. We are setting up a group to capture this effort in the Really Useful Group: members will be contacted when help is needed for an event or project. We think this will be a more effective way of locating helpers across all our activity. It will also work to encourage more help, especially amongst new members. How will it work? We will collect names and contact details of all those we know about and keep a central list. When help is needed, all RUG members will be contacted but only those who are able to help need reply. For example, our annual quiz is approaching and we will be looking for help with setting up, catering, ticket takers, marking, and runners for the answer sheets. Feel free to ask your U3A friends if they want to join this group too. Please send your name, telephone numbers, address and email address to Sarah Goodall, Events Co-ordinator, by clicking here. A visit to the National Mining Memorial Garden at Senghenydd, Brecon, prompted this family memory from Ivor Rees. A visit to the National Mining Memorial Garden at Senghenydd, Brecon, prompted this family memory from Ivor Rees. Amongst the specially commissioned wall plaques detailing all the mining disasters in Wales, over the last 200 years, was one commemorating the 1877 event at Tynewydd Pit, Porth, Rhondda. “The story of this disaster was well known in my family having been passed down by my maternal great-grandfather, Thomas Thomas, who worked in the pit next door at the time and was a hero of the rescue effort. “Born in the Welsh-speaking community of Cendl, Breconshire, Thomas’s father was a colliery carpenter and he became a miner. He later moved to Aberdare and married. When their son was born the family moved to Treorchy in the Rhondda. Ivor said the1877 disaster at Tynewydd was statistically one of the smallest in UK mining history because ‘only’ five lives were lost - four men and the 13 year old son of one of them. “However, it attracted world-wide attention because reporters from all over the word arrived at the pit head and the local journalist acted as interpreter with the Welsh-speaking miners and their families. “It happened on Monday, 11th April, 1877; the morning shift had ended and most of the men had left. Suddenly, the pit flooded and some men were trapped. “In that year there were 159 mining fatalities in Wales; around 1,000 coal mining deaths occurred each year in the UK, bringing greater poverty and suffering to the families involved. “Queen Victoria ordered four of the five rescuers underground be awarded the Albert Medal, First Class (the equivalent of today's George Medal), the first time it was awarded for civilian gallantry on land. “It is now thought the fifth rescuer was excluded because he had made strongly-worded criticisms of the owners. For more pictures from this trip please click here. 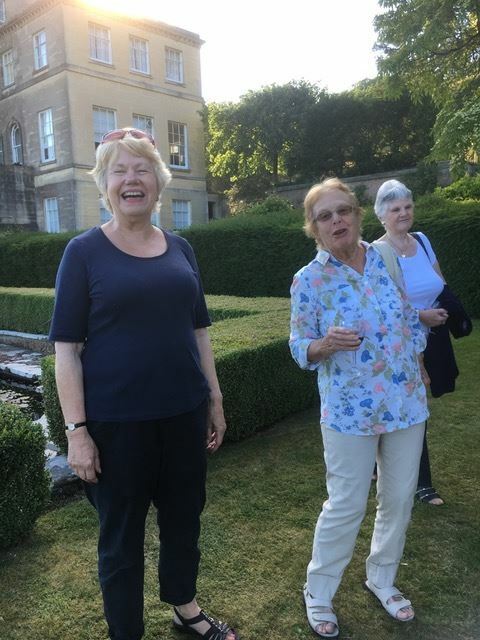 The sun shone on members of the Historical Awaydays Group for their visit to Penrice Castle and its gardens. The present owner Thomas Methuen-Campbell gave the 49 strong group a history of the estate since the 11th century up to the present day. 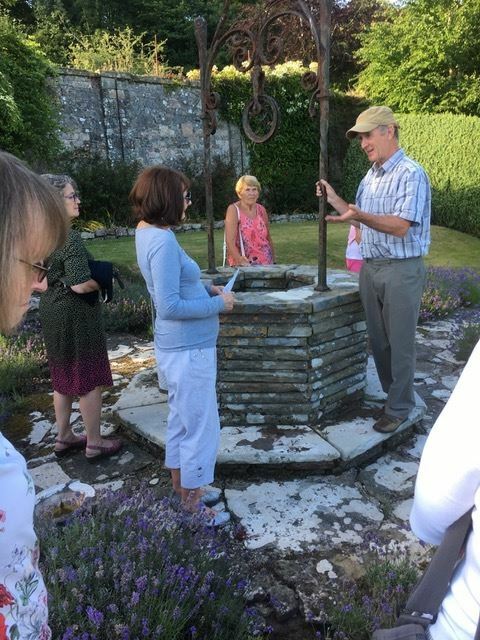 His talk was followed by refreshments and a tour of the wonderful gardens, set in a landscape of rolling lawns grazed by sheep, sloping down to a manmade lake and beyond to the sea. 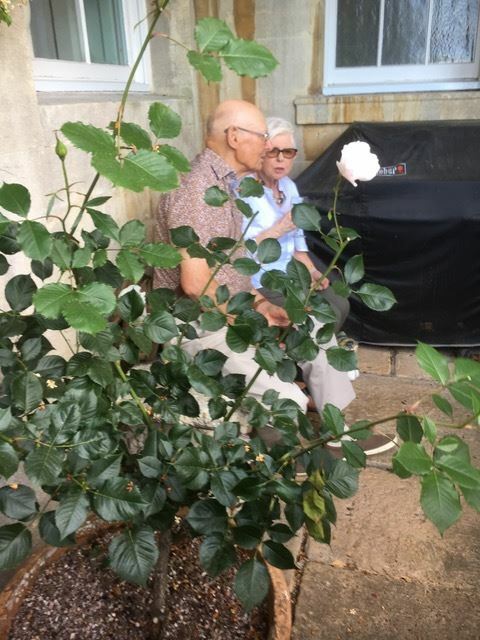 Highlights included the rose garden, the orangery with its exotic trees and the extensive 18th century walled garden currently being restored and well stocked with fruit and vegetables. During the 15th Century Wars of the Roses, South West Wales predominantly supported the Lancastrian cause. The only conspicuous Yorkist supporters were the Dwnns of Kidwelly, which was to stand them in good stead. This is an example of what you can learn as a member of the Family History Group in Swansea's U3A. Group Member Anne Thomas has been studying the Dwnns after finding some of them on her family tree. The family, who were landowners in the Kidwelly area, appear to have adopted the surname Dwnn,( which means swarthy) sometime in the 14th century. They served the Crown in France and Ireland as well as fighting for Owain Glyndwr. Sir John Dwnn, who was knighted after the battle of Tewkesbury in 1471, enjoyed a high profile career under both the Yorkist Edward 1V and Lancastrian Henry V11. Whilst on a diplomatic mission to the Low Countries in the late 1470s, he commissioned a Triptych (three part) religious painting from Hans Memling of Bruges. It now hangs in the National Gallery in London. He is depicted on this religious screen together with his wife and daughters in an allegorical scene of the birth of Christ. It is thought to be the first commissioned painting of a Welshman. Anne believes there is a further illustrious figure in the family. She said the famous 17th century poet John Dunne claimed to be descended from the Dwnns of South Wales and had adopted the same Coat of Arms (a silver wolf leaping on a blue shield). The triptych features Sir John Donne of Kidwelly; he kneels in adoration to the Virgin and Child, with his wife and daughters depicting saints. Swansea U3A member Chris Clarke has gone out of her way to spread the word about the organisation even as far as South America. cardboard cutout logo of the U3A, much to the curiosity of local people. She says: “I am a member of Swansea U3A’s Armchair Travel group and I take our sign with me whenever I go to a location of interest. I have taken it to many destinations around the world. “I am proud to be spreading the name of our wonderful organisation far and wide. “Sometimes fellow UK travellers are curious about what I am doing and not all have heard of the U3A. I am only too happy to explain. They often respond that they will be looking up their local branch when they get home. Swansea U3A never stands still, as these roller blading members demonstrate. The organisation is now welcoming members to more than 100 groups following the setting up of several new groups recently. The new groups include anthropology, quilting, Mahjong, quizzing, Greek for travellers and Nordic blading. As well as new interest groups, old favourites such as languages, yoga, ukulele, art and getting to know your laptop have set up duplicate groups to meet demand from waiting lists. The University of the Third Age (U3A) is a self-help organisation for people no longer in full-time employment. It provides educational, creative and leisure opportunities in a friendly environment run entirely by volunteers. Swansea U3A was launched in 1986 and is the largest U3A in Wales with more than 1,500 members. Watch out for more news on this page.